Naim did Lesson 13 in DER, review questions and workbook review. Aaron finished the Usborne Very First Readers Box (see picture). Both did 2 pp. of respective Sylvan workbooks. Did 2 Lessons in Calvert Math, 7.6 and 7.7, I think, involving pictographs. Aaron reviewed HOP DVD Lesson 3, the shared reading thingy, did worksheets and drawing thing. Naim did the review page in the workbook and the online game for HOP Lesson 16, the last in Volume one. HWT Letter -z-, listened to song on CD. 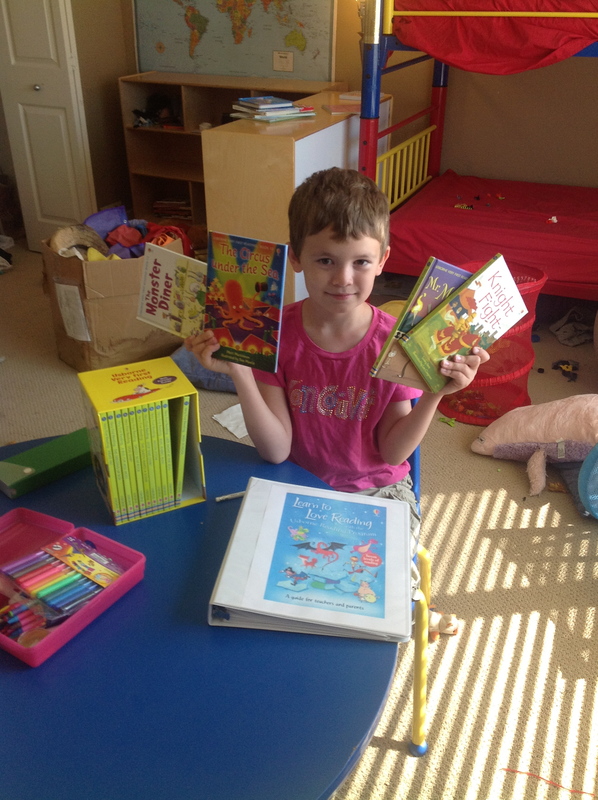 Aaron completed all 15 books of Usborne’s Very First Reader Series. These included the books, the binder full of corrosponding worksheets, vocabulary words, and activities in the back of each book, We spent about three days on each book.